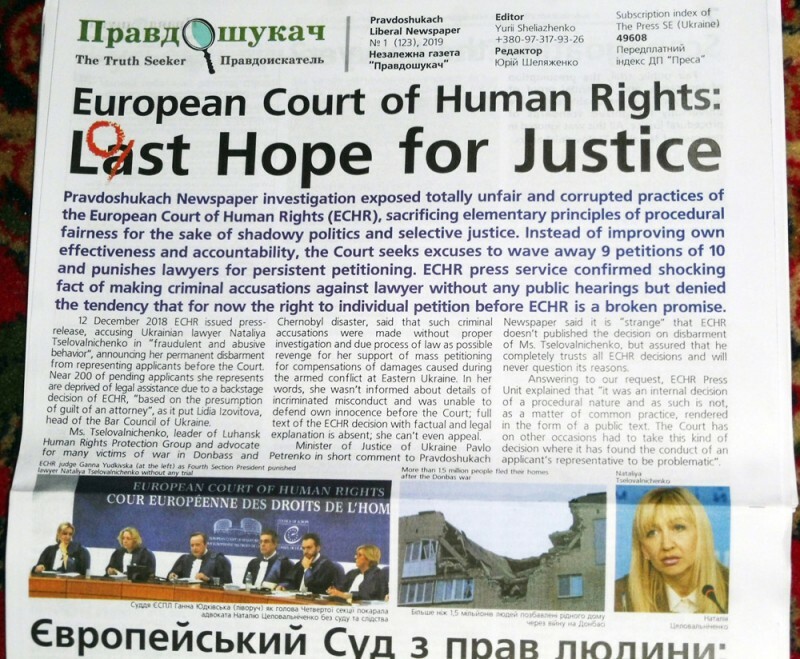 Results of journalistic investigation, published by Pravdoshukach Newspaper, revealed the outrageous decline of procedural justice and prevalence of corrupted practices in the European Court of Human Rights. Shady politics, conflicts of interests and austerity measures make European Court of Human Rights practically incapable to deal fairly with individual applications about violations of the Convention for the Protection of Human Rights and Fundamental Freedoms. Instead of improving own effectiveness and accountability, the Court seeks excuses to wave away 9 petitions of 10 and punishes lawyers for persistent petitioning. 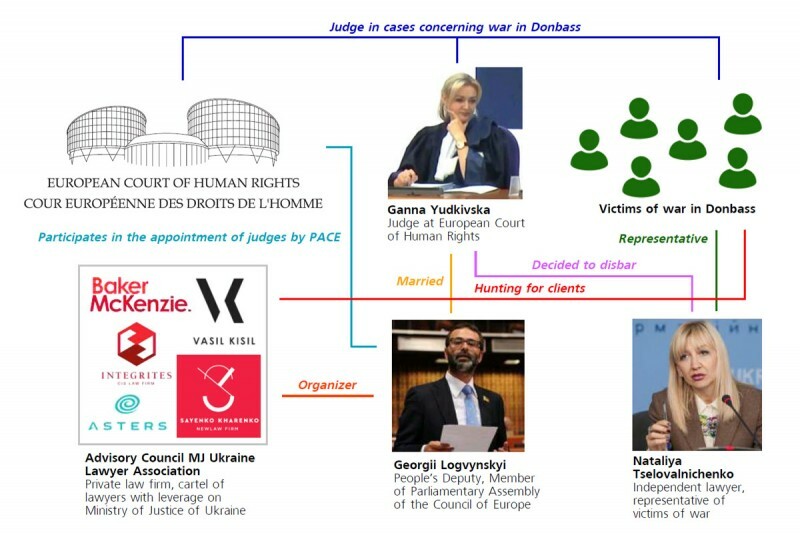 Apotheosis of the Court's shame was backstage disbarment of independent Ukrainian lawyer Nataliya Tselovalnichenko for petitioning against Russia and Ukraine in the interests of the victims of war in Donbass, arranged by Ukrainian judge Ganna Yudkivska who's husband Georgii Logvynskyi organized in Ukraine cartel of lawyers trying to monopolize legal aid to the victims of war, manipulate and use them, convert them into clientele of own political party "People's Front" (military and law enforcement lobby, linked to far-right vigilantes such as infamous Azov battalion and Myrotvorets centre).